Training to climb a mountain has its ups and downs (literally). 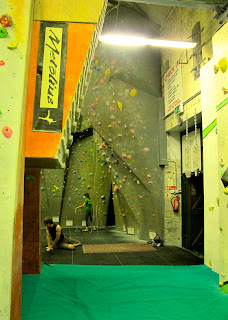 One of the fun parts of training for me has been my regular sessions at the Castle’s indoor climbing wall. 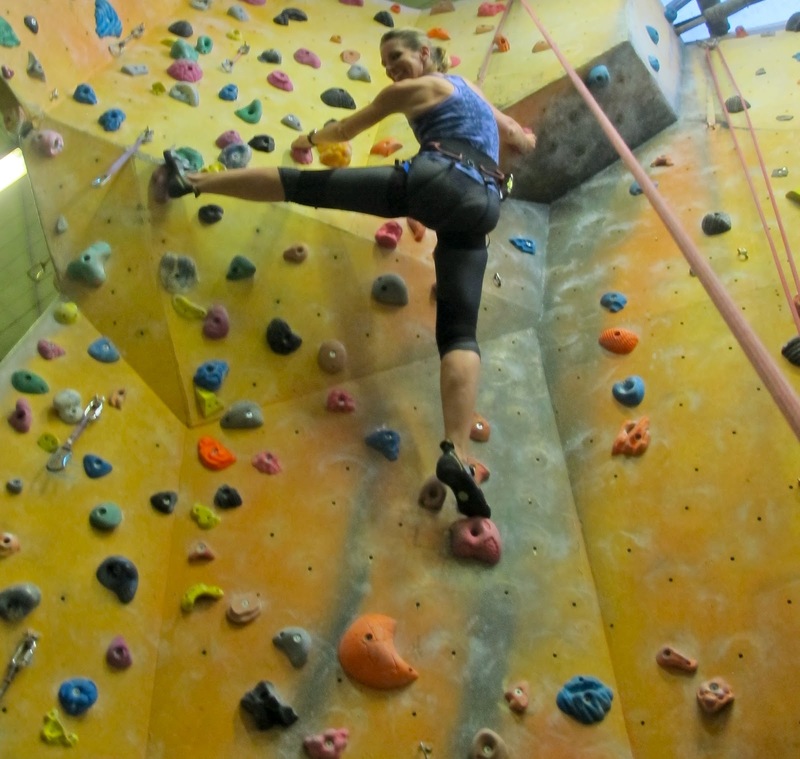 It seems like a bit of a pointless exercise to grunt and groan and ruin a perfectly good manicure to get up an artificial wall only to be lowered back down again… but it is phenomenally good exercise and it provides very tangible progress – both on physique and overall ability to climb higher and higher grades with different techniques. 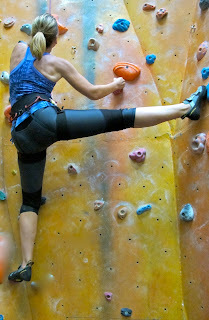 The only downside is that the shoes are even more uncomfortable than my Jimmy Choos. Why someone doesn’t invent comfortable, stylish climbing shoes is beyond me – somewhere someone is missing a trick. On the subject of climbing walls, the other day I came across a You Tube video which I found fascinating (yet worrying that funding actually gets put into these projects). The creatively named, Dyson inspired, “vertical ascender”, built by an engineering team at Utah State University which won an Air Force contest to design a device that will turn members of the Special Forces into the equivalent of Spidermen.... at least long enough for them to reach the top of a 90-foot wall. 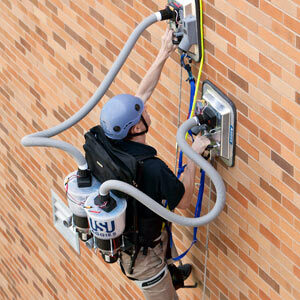 Tubes attach the giant battery-powered vacuum in a backpack the size of a small beer-fridge to giant pads worn on the hands of the wearer, allowing suction to seal the pads, (and their wearer) to the wall. With 30 minutes of battery life, the vertical ascender has about enough juice to scale the wall (and clean it at the same time) but not much more than that. Now, all the team needs to do is reduce the device’s size and weight—and maybe turn down the volume.... and then come vacuum my room when they're done with the wall..!